144 Srixon Soft Feel - Value (AAA) Grade - Recycled (Used) Golf Balls by Srixon at Village Green Golf. Hurry! Limited time offer. Offer valid only while supplies last. 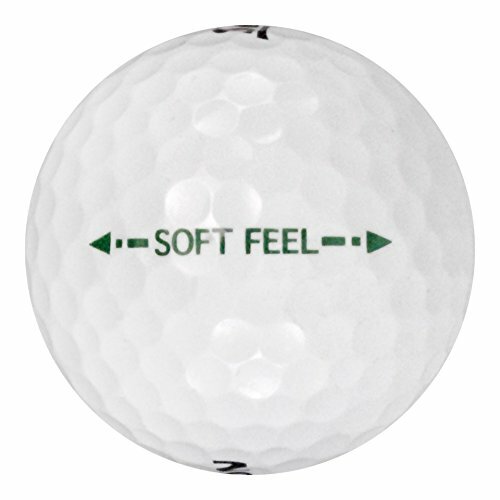 Value Grade (AAA): Great for beginners, or as practice balls for avid golfers. Noticeable wear, discoloration, gloss-loss, blemishes and scuffs. SOFTER, LOWER COMPRESSION CORE Softer feel on all full shots without sacrificing the incredible distance and accuracy from tee to green. SOFTER, THINNER COVER Provides more greenside spin and softer feel on all pitches, chips and putts. ENERGETIC GRADIENT GROWTH CORE Advanced core construction promotes seamless energy transfer to maximize distance and optimize ball performance on every shot.